The Ghanaian Engineers & Architects Association of America (GEAAA) announces its annual award, the GEAAA Dr. Osei Kwabena Gyebi Scholarships, for both student and non-student individuals of African descent. The Dr. Osei Kwabena Gyebi Scholarship awards are given by GEAAA annually to individuals who undertake innovations that provide practical solutions to technological problems pertaining to Africa, as well as contribute to its economic growth & quality of life. For non-student recipients the awards are given as grants. The goal of the GEAAA Dr. Osei Kwabena Gyebi Scholarship Fund is to encourage persons of African descent in general and of Ghanaian descent in particular to harness their innovative talents to enhance the quality of life & economic growth of Africa through new and/or existing technology. The amount of award is US$ 500 for Students, and US$ 1,000 for Non-Students. Narrative (Not more than 500 words): A description of research, career or other interest as it contributes to the goals of the Scholarship Fund. Non-Student Applicants: Explain concisely how the outcome of your proposed research or work will be beneficial to the Ghanaian society, its potential for improving the quality of life of Ghanaians and/or its contribution towards the economic growth of Ghana and Africa. Include a detailed statement indicating how the Funds will be utilized as well as a timeline for the milestone expected to be achieved through the use of the Funds. 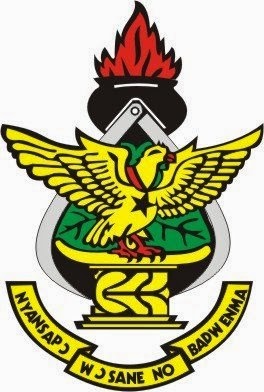 Kwame Nkrumah University of Science and Technology (KNUST) is a university in Kumasi, Ashanti, Ghana. The Kwame Nkrumah University of Science and Technology is the public university established in the country, as well as the largest university in Kumasi Metropolis and Ashanti. KNUST has its roots in the plans of the King Asantehene Agyeman Prempeh I to establish a university in Kumasi as part of his drive towards modernization of his Ashanti kingdom.